Shalynx Solutions, serves as an excellent alternative for those looking for fast, professional computer repair services. With several years of expertise in the industry, we provide a complete line of high-quality services to fix, upgrade, and tune-up both residential and commercial computer systems as well as networks. A specialty of our facility is that we make available fast and cost effective computer repair services within fast turnaround period. No matter your computer is encountering any of these problems like system slowing down or freezes; computer crashing with a blue screen; computer making strange noises; or cause unknown problems that result in the loss of important or confidential data, our expert technicians with extensive knowledge in the areas of computer repairs, upgrades and networking can fix it for you within no time. As part of our computer repair services, we repair desktop and laptop computers of different makes and models including Panasonic, Gateway, Asus, Packard Bell, Dell, Sony, eMachines, Acer, Compaq, Gateway, Apple, Toshiba, Medion, HP, IBM, and Fujitsu. 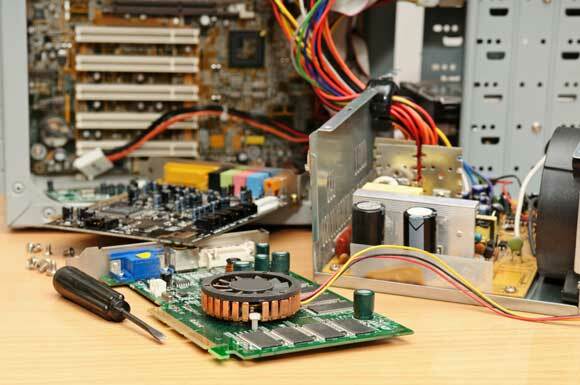 However, our computer repair services are not just confined to the aforesaid, and we also render a spectrum of services in connection with computer maintenance, IT consultation, wired as well as wireless network installation, and installation of computers, laptops, and servers.